We are used to spicy peppers but did you know that herbs can be hot too? In fact, they can numb your tongue when you eat them fresh. Their leaves and flowers (or stem section for Lemon Grass) can be added fresh to dishes or dried. 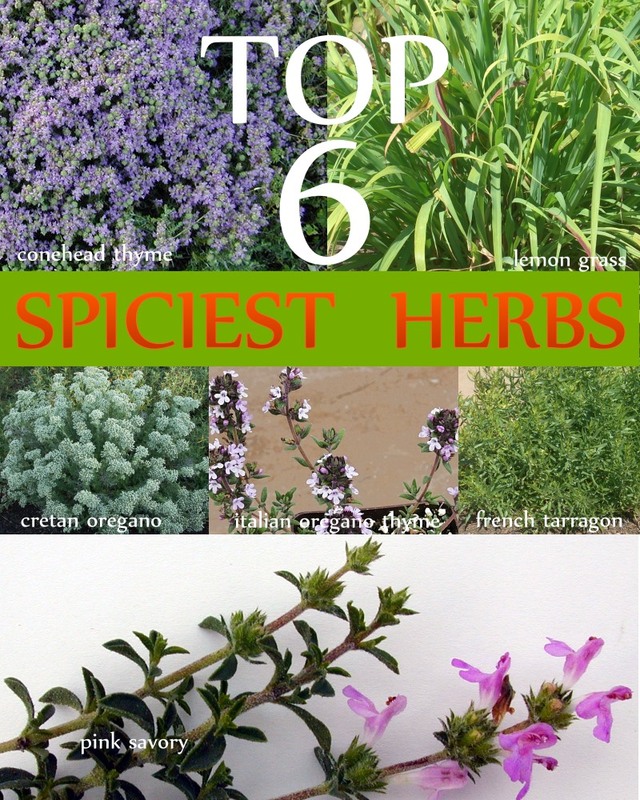 Because they have big bold flavors, they can be used alone or mixed with other herbs. Not truly a thyme, this plant has tiny leaves and flowers that are extremely spicy. Only the white part of the stalk below the ground is spicy and is used in cooking. The lemony leaves make a super refreshing summer ice tea. One of our spicy oreganos, Cretan Oregano is not only hot but has what we consider the best flavor of all the oreganos. While it can be used fresh, the flavor is more concentrated when dried. Thyme is not usually thought of as a spicy herb but this one is. Try it instead of regular Thyme. The "little dragon" herb that leaves licorice fire on your palette is perfect for so many foods. While it does retain some flavor when dried, we prefer it fresh. This fiery herb has a flavor that is a combination of thyme and oregano. It is often combined with Syrian Oregano and Conehead Thyme to make the spice blend Zatar.